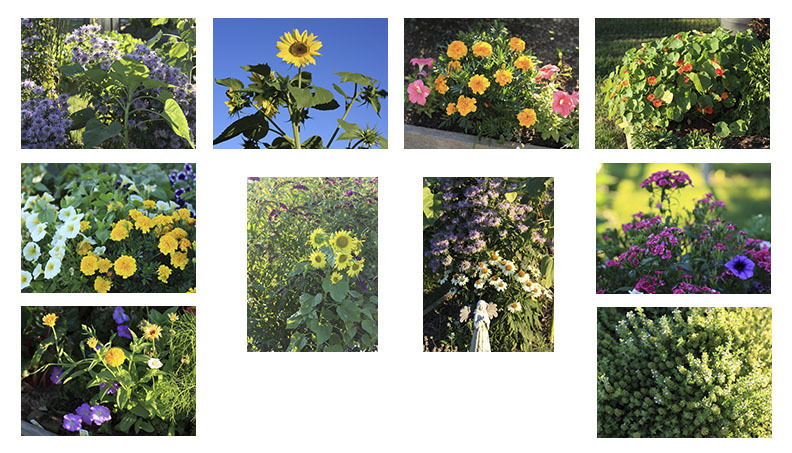 These 4-1/4" x 5-1/2" note cards of flower photos that I have taken at sunset in the garden come in boxes of 10 with envelopes, and are blank inside. They show the brilliant marigold, the cheerful petunia, the happy sunflower, and the humble daisy, as well as other lovely flowers. If you would like to order 10 of any single card, rather than the assortment, please email me below saying which photo you would like. You can order these flower note cards by clicking on the Add to Cart button below, and then on the View Cart button. If you have any questions, please feel free to e-mail me.